When a new facility opens up practically on your doorstep I figure it would be madness not to call over for a visit. So, with that in mind, we set off last week for an adventure to the newly opened Lullymore Equestrian Centre where the main attraction was the large all weather outdoor cross country arena which looked on Facebook like a rather awesome equestrian playground. I did have a brief moment of ‘ah feck I am lost again’ panic on the way while driving down a quiet bog road (it’s a general rule in Ireland that you only follow a narrowing road until you see a strip of grass in the middle. If there is a strip of grass in the middle it usually means you are lost and definitely means you won’t be able to turn a horsebox around). We were a good while away from the ‘grass down the middle’ and it turns out we were on the right track and a few minutes later we had arrived. The venue has plenty of space for parking and has another outdoor arena with show jumping fences along with the cross country area. The owner Laura was ready to meet us and very kindly offered us hot tea and coffee which given the weather was much appreciated. I could tell you it was a ‘grand dry day’ but it was also cold Irish weather and the water on the water fence was actually frozen on top so we got up and got ourselves and the horses moving and warmed up. We had four horses and riders and started off jumping some adjustable rustic fences. 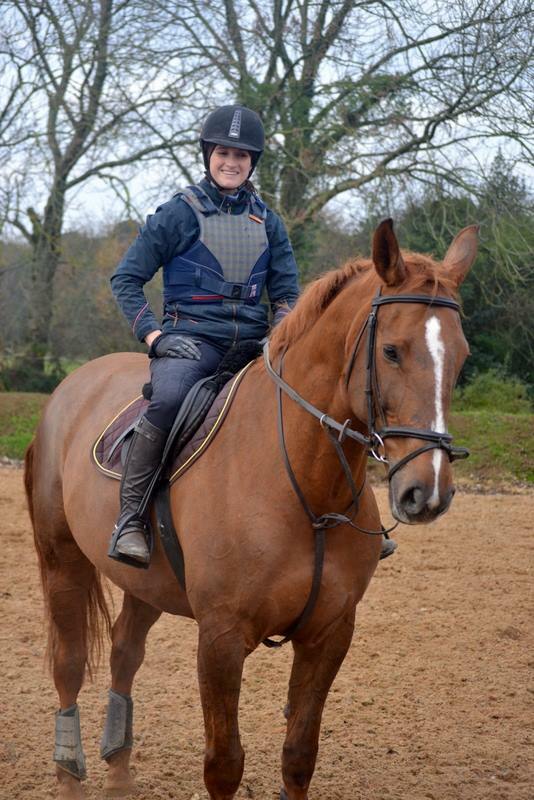 The horse was rather delighted to be allowed to jump so soon into a session and at not having to humour me with proper flatwork first. We progressed to doing a few of the banks. Lullymore hosts a big array of banks from basic step up and step off to jumping out and over a brush fence or a log to jumping into water with heights from about 50cm to 90cm making it perfect for schooling green or young horses. The horse was very keen here which is very positive given she was not exactly sure what a bank was just a few months ago. It was the first time doing cross country where I have felt her take a pull with confidence and then just take me over a fence. We popped up and off a few of the banks and bounded over the hill and down the steps. I was expecting a look at the brush drop off a bank but she locked on and was up and over without a problem. In fact she was so enthusiastic that we tacked the steps the second time in trot as she was actually a little too forward! What I loved about the venue was how the fences are all set up individually but when worked as a course they really flow. 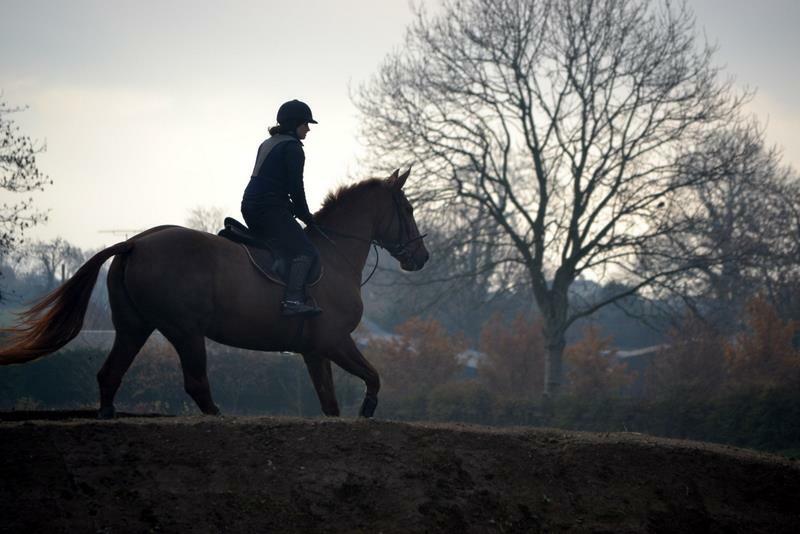 Our instructor created a few courses for us to take on and this allowed a good simulation of riding cross country courses as we could get up a good canter, ride a flowing course and put a string of obstacles together. This also forced us to pay attention to our lines and accuracy – especially in my case as there are loads of obstacles in the arena and the orange train was keen to lock on to whatever she could meaning I had to make sure she was locking onto the right one. Having jumped the banks, logs, steps, brushes and solids it was time to tackle the coffin fence which is a nice wide coffin clearly marked out and sat in the middle of two small banks of sand – the banks were great as they encouraged the horse to look and ride into the centre and discouraged sideways evasion. The horse had a refusal at our solo attempt which was not really a shock as she has done very little cross country and it was clear from her face that she hadn’t a breeze what exactly I wanted her to do. We watched the others pop over it making it look easy and then Dolly was persuaded to go over it behind her half brother from another mother. Our first launch over it was not what I would call stylish and its safe to say the Jesus strap got used but our second attempt was great. We called it a day on that positive note. I will definitely be back to Lullymore and have plans for next time to tackle the water and the corner boxes. Prices for an hours schooling were very affordable and with everything being in the one arena you really can get a lot done in an hour even with a group of four like we had. Location wise Lullymore is about 15 minutes from Kilmeague. The route I took was to drive through Kilmeague up the hill, past Coilog, on into Allenwood, turn left in Allenwood follow the signs for Lullymore which will take you left over a humpback bridge and on into Lullymore village where the Equestrian Centre is on your right. 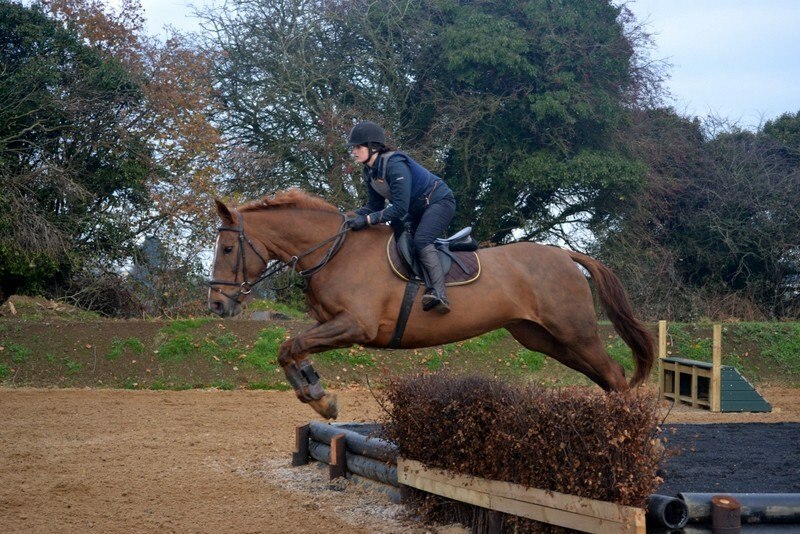 Posted on November 28, 2013, in General, Irish Equestrian Venues & Pursuits and tagged ., cross country, Cross Country Riding, equestrian, equestrianism, horse riding, horse riding in ireland, horses, ireland, irish equestrianism, Lullymore, Lullymore Cross Country, Lullymore Equestrian Centre, Lullymore Review. Bookmark the permalink. Leave a comment.